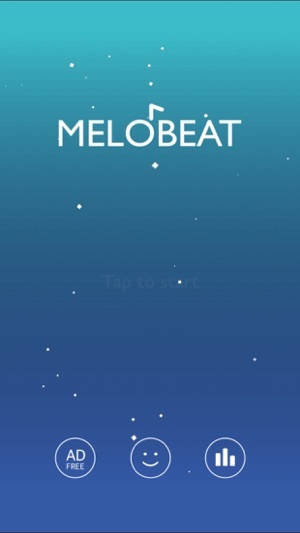 You can be a pianist with MELOBEAT!! More than 30 songs would be added every month!! Play MELOBEAT with your own MP3 files. 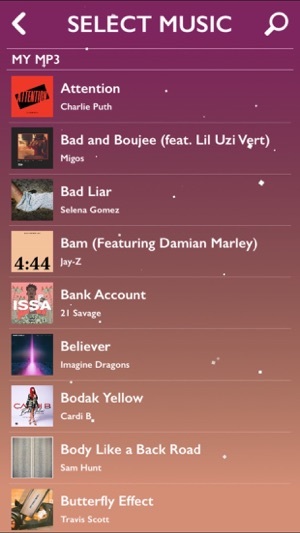 MELOBEAT can play any song on your device. DRM-protected files would not be supported. Love it so far, only 2 things I would like fixed. I love how it saves your score but I wish it showed the difficulty and speed you played it on as well as the long and double, also a number score would be nice so if I play the same song again and got the same letter score I would know if I did slightly better or worse and can try to beat it :). 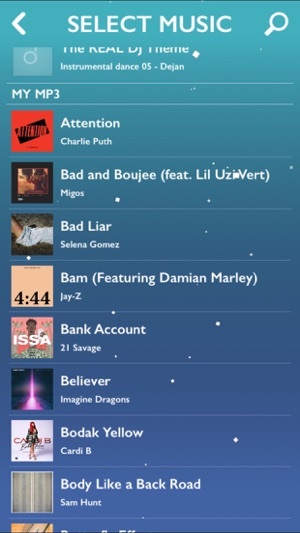 Second thing which isn't that big an issue is after I finish a game the song starts playing again and I can't pause it or stop it until I pick a new song or exit the app, also just clicking on a song starts playing it and you can't pause it, I always have to mute my phone until I pick the song I want it's starting to get annoying. Other than that I love this game and hope you fix those issues, then it'll deserve the 5 stars! Love this app, friend showed me. Glad long note is coming soon. 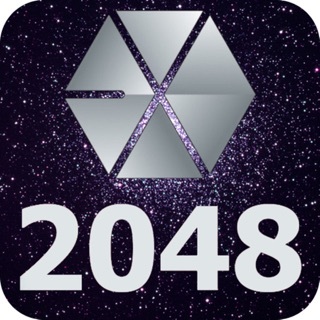 I like it better then stuff like piano tiles, the one thing they have on that app is that it saves your score and all that. 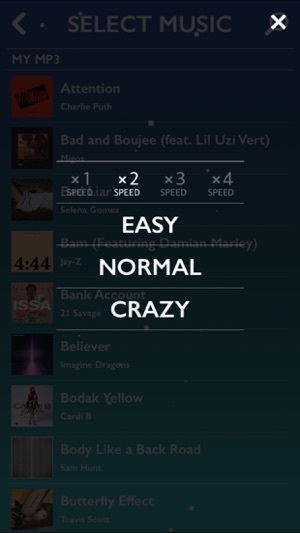 I realize it shows a letter grade once you complete a song, but I wish it had a score list for each song with your score on each difficulty, and maybe your longest note streak or something like that. Also, I think some customization would be cool (backgrounds, note colors). Overall, my favorite app to pass the time. Keep updating and making it better! 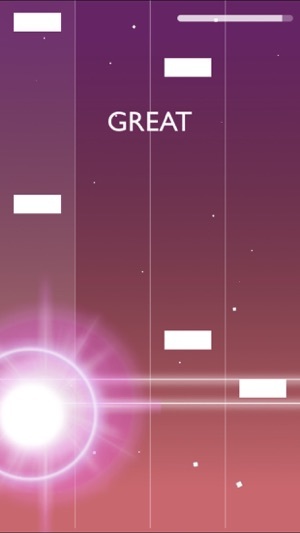 The game is awesome, I love playing rhythm games and this is one is almost perfect, but I have a few suggestions: Although I like the aesthetic of the app, I wish you could... I don’t know, have an option to set the background or something? With the cover of the album or a picture of the artist. Also a leaderboard and a point based scores would be awesome. 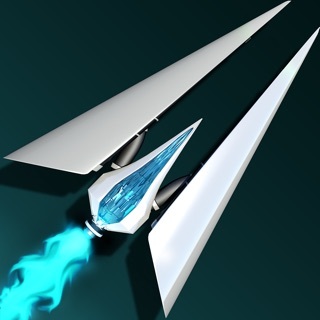 Ah, and one more thing, we need a landscape mode! It’s so much comfortable to play that way (at least I think so). Anyway, keep it up with that amazing work and please don’t screw the app up with the ads, right now they’re not intrusive and don’t interfere with the gameplay.